Criss Cross includes an excellent array of Thesis content options. Easily customize section-widths, posts, pages, widget areas Thesis boxes & more. Another great feature of Criss Cross are its Thesis design options. Here you can customize font families & sizes for your site & beautiful color schemes. 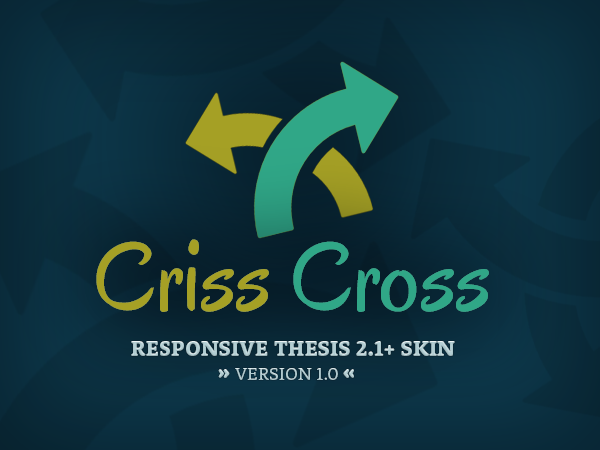 The Criss Cross skin comes with its own icon font that can be viewed within your Thesis skin section of WordPress. Hundreds of icons at your disposal.